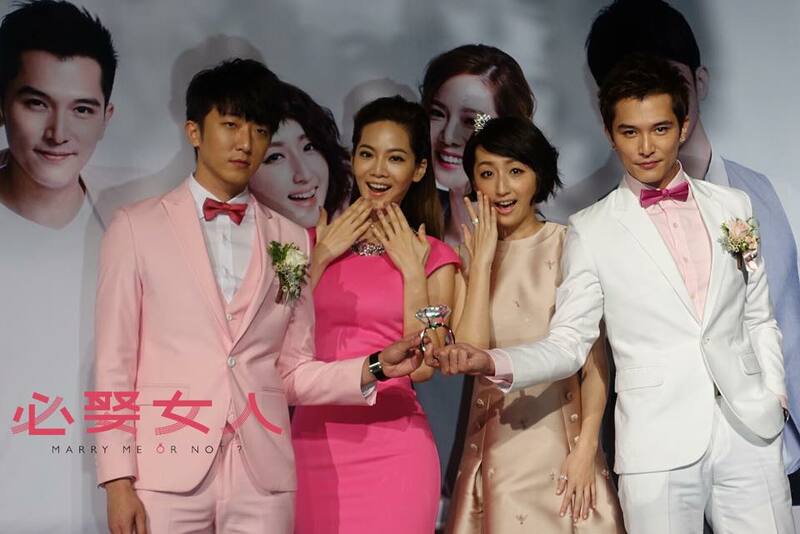 Quirky Insights for Roy Qiu and Alice Ke’s New Drama Marry Me, or Not? I have been waiting for the premiere of Marry Me, or Not? since what feels like forever and now it is just a day away from our television screens. It will air on CTV, following the heart-wrenching drama fare The Day I Lost U which will be a nice change of tone from the offering of its predecessor. I am super duper excited for this drama and from what the teasers and previews have offered, this drama looks like it will be a beautiful, quirky offering, something that is right up my alley. I haven’t been captivated by any Taiwanese drama this year based on previews alone until this drama came along so it better be good because it has set my expectations high and I really want it to meet these expectations. The drama reunites Roy Qiu and Alice Ke from their Office Girls days. They are two of my favourite Taiwan talents and together they can really rock a screen. I love the chemistry they share with each other and now even years on from OG, their chemistry is still flying high. Looks like for Roy he can’t seem to escape from the workplace office environment, because following on from OG and Miss Rose, this drama will also be set in a similar setting. Rounding out the main cast is Joanne Tseng and Harry Chang, who, along with Roy and Alice, will be playing four very determined, headstrong individuals finding their way through romantic and work competition. The Chinese title, 必娶女人, is pretty sweet, holding a double meaning. The first meaning is a literal translation, meaning a woman so amazing that a man must marry while the second meaning is the more hilarious punny translation of “bi*ch woman”. The drama holds true to both meanings, with both Alice and Joanne playing pretty darn amazing women with men pursing left and right for them. They’re also former besties now frenemies with lots of crazy cat fights between them. Ha, loving it already! The drama teasers and previews have really got me fired up for MMOR. But what got me more is the opening song theme, “See a Move, Dodge a Move”, sung by Joanne with Real from the group F.i.R. The song is pretty amazing but it gets better with a compilation of scenes from the drama. I’m just so excited for the drama and really, tomorrow cannot come any faster. Check out the preview materials below and get excited with me! Oh, and Bolin Chen also has a cameo appearance as the famous Li Da Ren from In Time With You. **There’s a lot of teasers, looks like CTV really wants to promote this drama. Teasers may be similar but there are different cuts in each one. Click here to watch Marry Me, or Not?. Urghh, can’t wait! I swear Alice and Roy’s chemistry is unbeatable! Can’t wait too!! I’m very excited!